DIS-TRAN Steel, LLC has been providing the utility industry transmission and substation steel structures for over 45 years. These structures include tapered tubular poles, wide flange, square tube, and lattice structures. Our specialty is providing outstanding customer service, flexible scheduling for quick turn projects, and the highest quality product for our customers. We are the ELITE substation and transmission steel supplier. Structural analysis implementing PLS-POLE, RAM ADVANCE, and other custom design software assures that transmission towers and substation structures meet applicable industry standards. Some of these standards are AISC, ASCE, NESC, NEMA, as well as specific customer requirements. This computer analysis, along with a constructability review by our experienced professional design staff, produces an optimum structural design, resulting in structures that offer cost savings to the customer in initial purchase and during field erection. The combination of computer-aided structural design, computer-aided drafting, and computerized numerical control fabricating systems, in conjunction with our QA/QC program, ensures our customers the most efficient structures with the best possible delivery schedules. DIS-TRAN’s engineering department is responsible for all aspects of structural design on all product lines designed and manufactured by DIS-TRAN Steel, LLC including high-voltage substation structures, high-voltage power transmission structures, lighting structures and transportation structures. To meet the demands of the utility industry a manufacturer must invest in state of the art machinery to provide the highest quality product consistently. 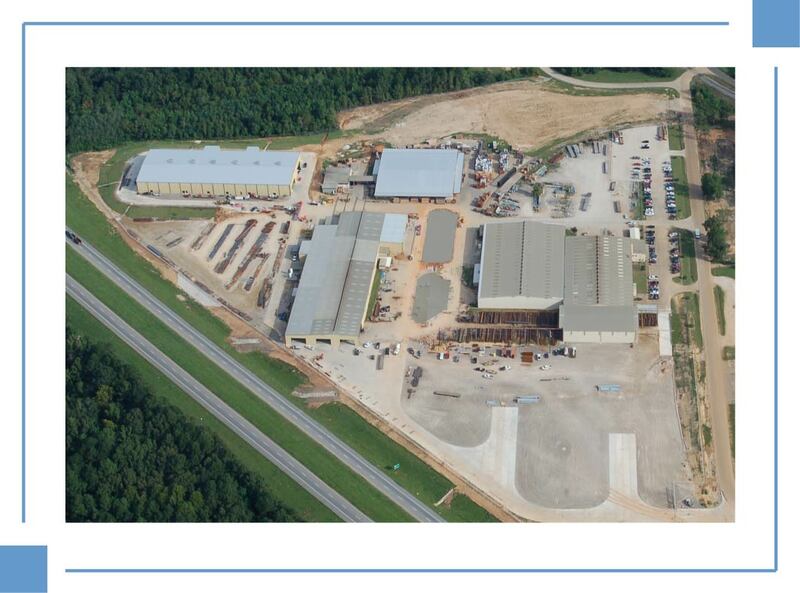 Not only has DIS-TRAN Steel invested in new machinery, we have also expanded our facilities by 10 acres. This more than doubles our capacity and capability. 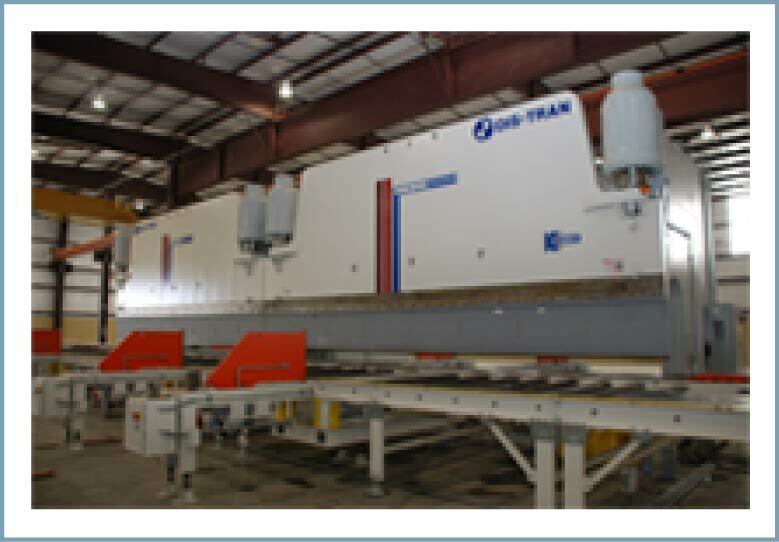 DIS-TRAN Steel, LLC uses the latest innovations for fabricating its products. 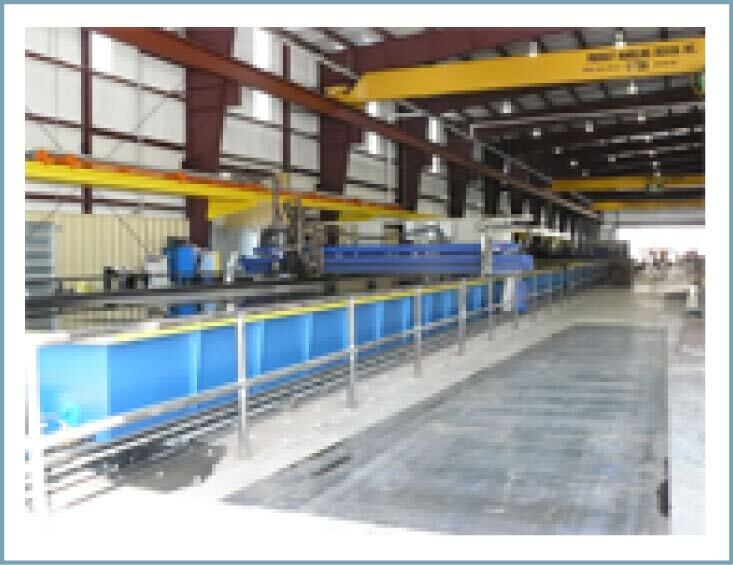 A one of a kind 2500 ton, 60’ CNC Press Brake, High Definition Plasma Cutters, Robotic Welding systems, CNC controlled Seam Welders, and CNC Punches for standard shapes are a few of our key components.